Winners just under three months ago in Hong Kong, Chinese Taipei’s Lin Yun-Ju and China’s Wang Yidi repeated the feat in Panagyurishte on Wednesday 15th August. They won the respective Under 21 Men’s Singles and Under 21 Women’s Singles events at the Seamaster 2018 ITTF World Tour Asarel Bulgaria Open. At the final hurdle, Lin Yun-Ju, the top seed, accounted for China’s Xu Haidong, the no.21 seed (11-7, 12-10, 11-7), having in the penultimate round beaten Denmark’s Anders Lind, the no.7 seed (9-11, 11-7, 11-4, 8-11, 11-8); in the counterpart semi-final, Xu Haidong had ended the progress of Poland’s Marek Badowski, the no.6 seed (11-6, 13-11, 11-6). Impressive from Lin Yun-Ju, it was the same from Wang Yidi. The no.4 seed, she ended the hopes of colleagues. She beat Chen Ke, the top seed (11-5, 11-8, 11-3), prior to overcoming Zhang Rui, the no.3 seed (9-11, 12-10, 11-7, 11-6) to arrest the title. In the adjacent half of the draw, Zhang Rui had emerged successful in opposition to Russia’s Valeria Shcherbatykh, the no.17 seed (11-4, 12-10, 11-6). 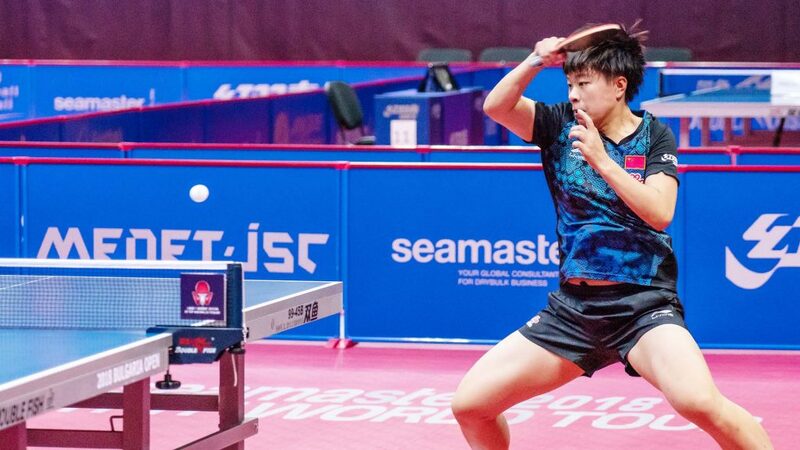 Success for Wang Yidi, competing in her third Seamaster ITTF World Tour Under 21 Women’s Singles final, meant that she reversed the decision of last November when she had experienced defeat at the hands of Zhang Rui in the final in Sweden. Meanwhile, for Lin Yun-Jun it was his third Under 21 Men’s Singles title this year in his fourth career final. Last year he lost to Frenchman Can Akkuzu in the Czech Republic before, in addition to his Hong Kong success this year, winning in Hungary. In Hong Kong he beat Korea Republic’s Cho Seungmin in the final, in Hungary he accounted for the host nation’s Bence Majoros. Furthermore, for Lin Yun-Ju it was an early birthday present; on Friday 17th August, he will celebrate his 17th birthday. 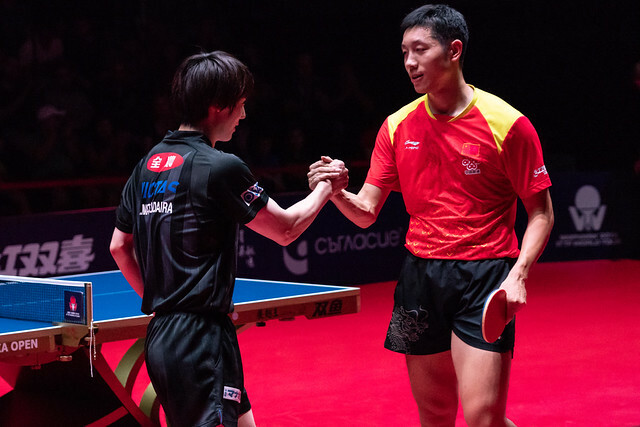 A landmark for Lin Yun-Ju, it is also a landmark for Under 21 Men’s Singles and Under 21 Women’s Singles events in the ITTF World Tour; the Seamaster 2018 ITTF World Tour Asarel Bulgaria Open marks the 250th time the events have been staged since the concept began in 1996.